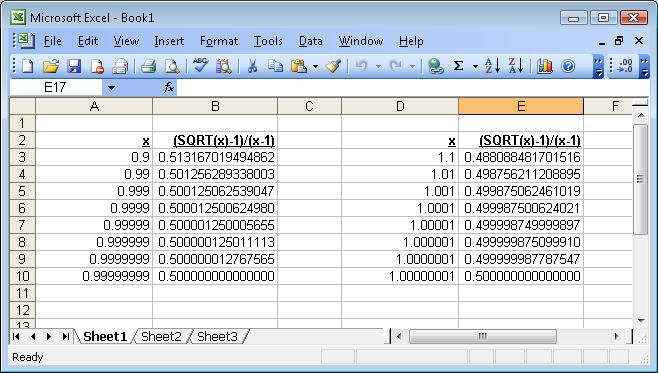 Based on our spreadsheet is appears that the limit as x→1 is 1/2. 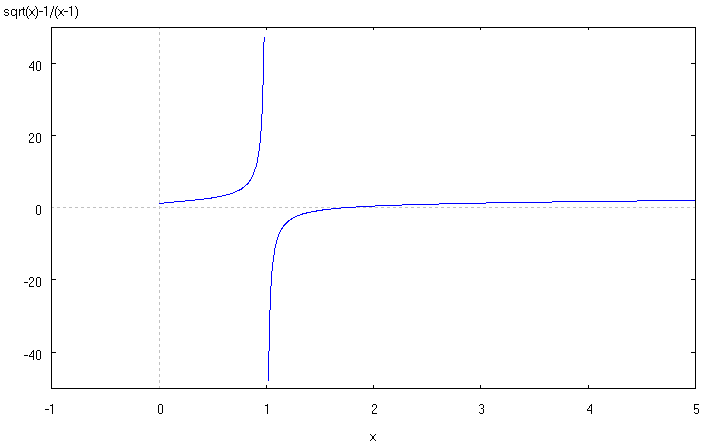 This example is a piecewise function with a removable discontinuity at x = 1. 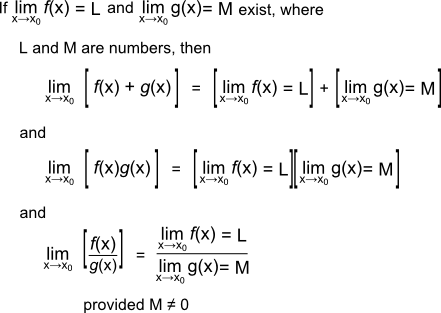 Note that although the value of g(1) = 1, the limit of g(x) as x→1 is actually 2. Finally, please be aware that a function can have different limits at a point depending on whether you are coming from the left or the right. 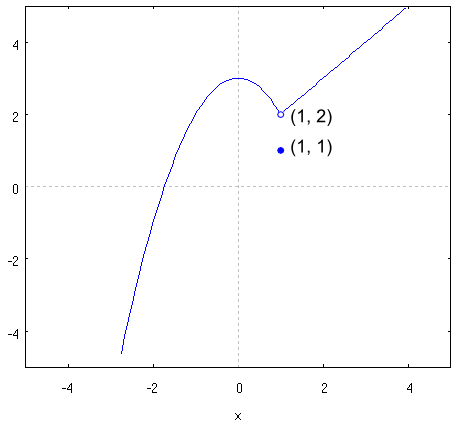 This is notated by a positive or negative sign next to the x0 value. 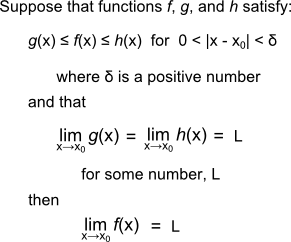 The following theorems are quite handy when working with limits and particularly when writing calculus proofs involving limits.